Send details of Reva Syke Road, Clayton to a friend by completing the information below. 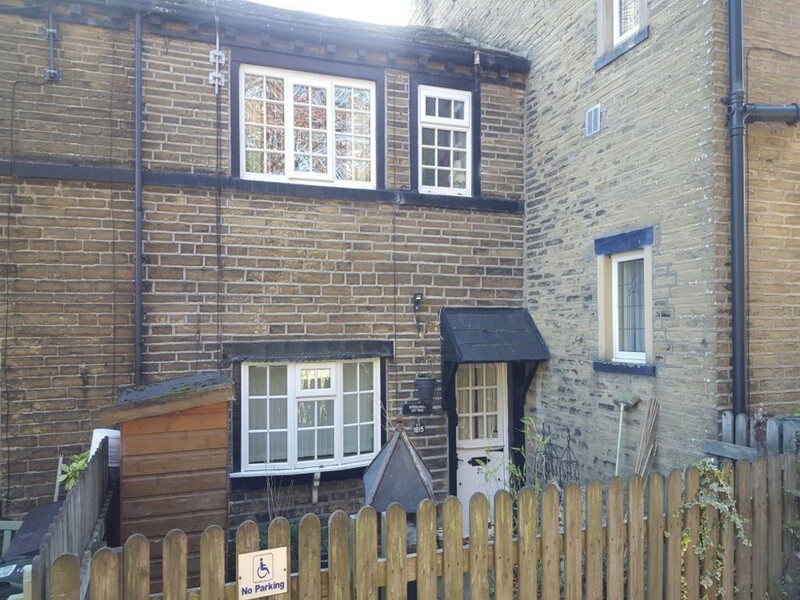 **NO UPWARD CHAIN** Situated in the heart of Clayton Village is this Character Cottage which is in need of some update. The property briefly comprises of Through Lounge with French doors to rear garden, Kitchen, Two Bedrooms and Three Piece Bathroom. UPVC windows. Small Garden to front and Large Garden to rear. ENTRANCE Via stable door to a reception area with stairs to first floor and opening through to the lounge. LOUNGE 16' 6" x 13' 2" (5.03m x 4.01m) UPVC half bay window with timber monks seat. Feature stone fireplace with timber mantle and stone hearth housing a gas stove. Exposed beams. French door to the rear leading to rear garden. Door through to the kitchen. KITCHEN 8' 8" x 5' 1" (2.64m x 1.55m) Timber finish wall and base units with complementary work surfaces and tiling. Inset sink with mixer tap. Inset stainless steel double oven and hob. Plumbing for washer. LANDING Open timber spindle balustrade on landing. Feature UPVC arch window with monks seat. Gas wall heater. BEDROOM ONE 10' 7" x 9' 8" (3.23m x 2.95m) UPVC window with monk seat. Exposed stone work to chimney breast. BEDROOM TWO 7' 6" x 6' 5" (2.29m x 1.96m) UPVC window. Two built-in cabin beds. BATHROOM 9' 2" x 5' 9" (2.79m x 1.75m) UPVC window. Three piece coloured suite comprising of bath, hand wash basin set in a vanity unit and a wc. EXTERIOR Enclosed paved garden to front and large enclosed paved garden to rear.